Subsurface moisture or sweating from high-humidity on concrete can cause real problems for hardwood and laminate flooring. Silent Stride can absorb over 5 times it's own weight in water without swelling or deterioration, while the vapor retarder keeps water away from your floor. Silent Stride also contains an EPS-registered antimicrobial technology used to solve "sick building problems" in schools, hospitals, offices and homes. This underlayment comes with a limited lifetime warranty regardless of flooring brand. Adds R-value to chilly floors and Silent Stride is suitable over all types of subfloors. 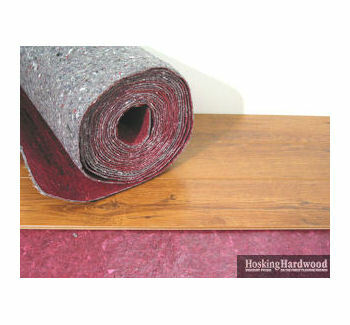 This underlayment pad also contains a moisture retarder film for use on below-grade or on-grade subfloors.